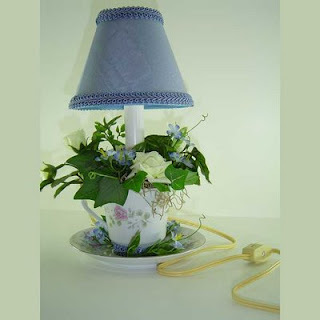 I finally finished a new teacup lamp. The teacup was from my Grandmother. 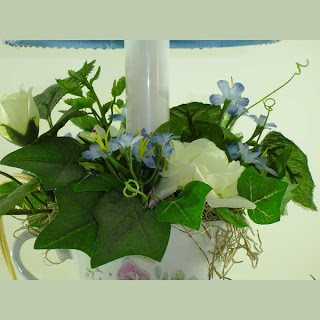 She received fresh flowers in it which were now gone. So now it gets new life as an accent lamp for someone's kitchen. 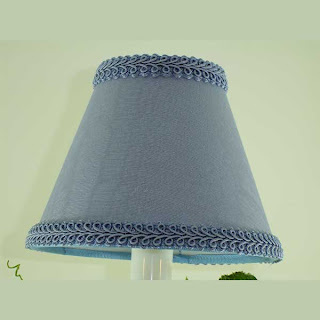 The hardbacked lampshade is handmade with moire fabric and pretty blue gimp trim. I decided to add the gimp trim around the bottom of the saucer also to tie in the shade. 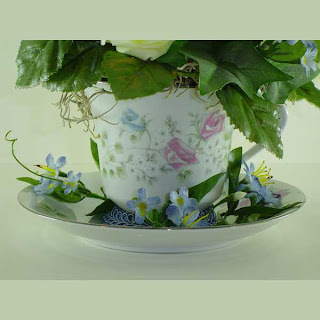 The silk flowers seem to spill out of the teacup just like the fresh flowers might have. 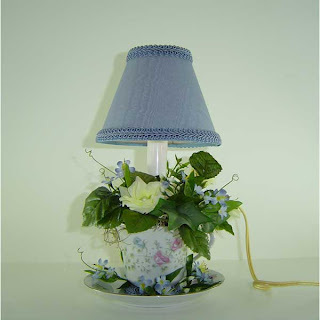 The electric candle uses a 25 watt candelabra bulb which makes this teacup lamp perfect for a night light in a kitchen or bathroom. It has a six-foot cord with the on/off switch on it for easy access. You can purchase it on my website: http://www.shades-etc.com/ on the teapot page or at http://www.shadesetc.ecrater.com/. 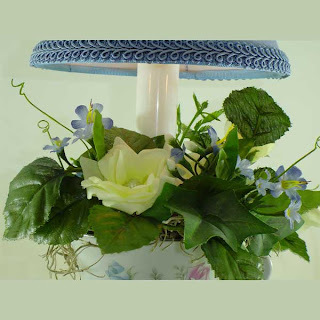 I love making these little lamps; they always turn out so pretty and give me such a feeling of satisfaction of a job well done. This is definitely one that will be at my first craft show this year....unless you buy it!